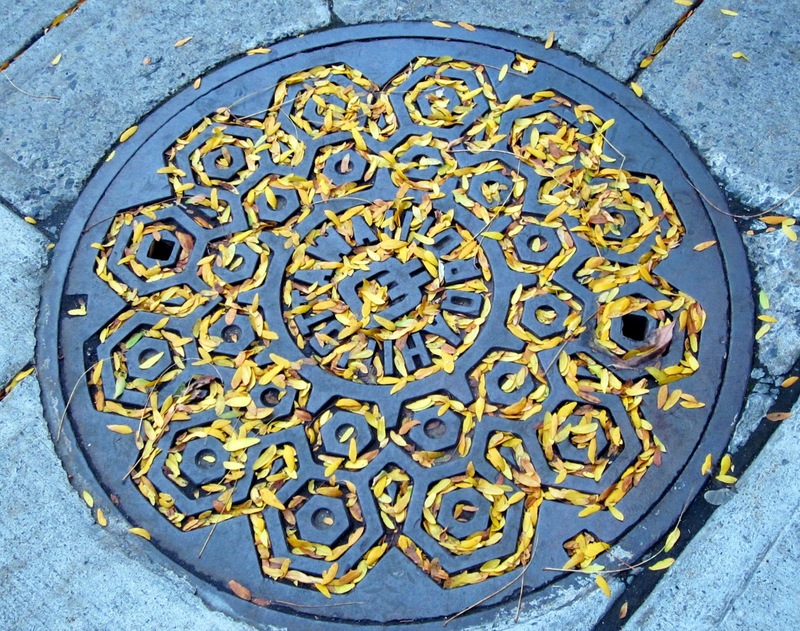 This is just an ordinary manhole cover, which I saw as I was walking down the sidewalk the other day. It was transformed by hundreds of little golden seeds that had fallen from a nearby tree and collected in the grooves of the pattern in the metal, making it look somewhat like an oriental decoration. 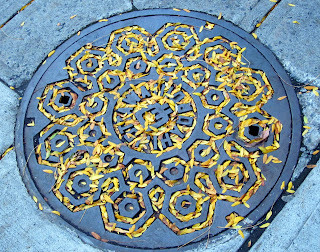 Isn't it amazing how beauty can surprise us in unexpected places? Inlaid with gold, it would seem. Yes, those beautiful surprises are special.